My collection is inspired by vintage aesthetics and imagery of the pacific northwest. 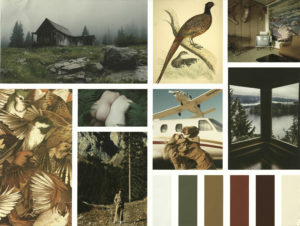 I desired to make a collection that captured the retro quality present in old 70s wallpaper or an old log cabin. 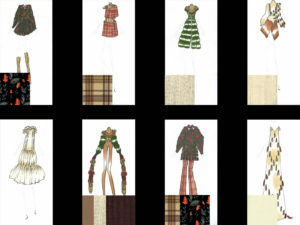 The collection will feature luxe wool textiles and knits, ornate embroidery, experimental silhouettes, and chic styling to truly capture the aesthetic of ephemeral nostalgia in the woods.